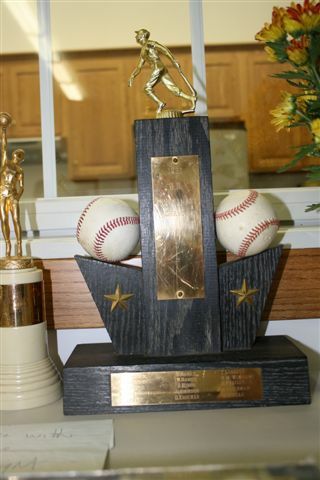 Another baseball trophy (The small black baseball trophy) says: Goshen Local Tourney Champ 1958 Goshen Team Managers Anderson and Ebert. 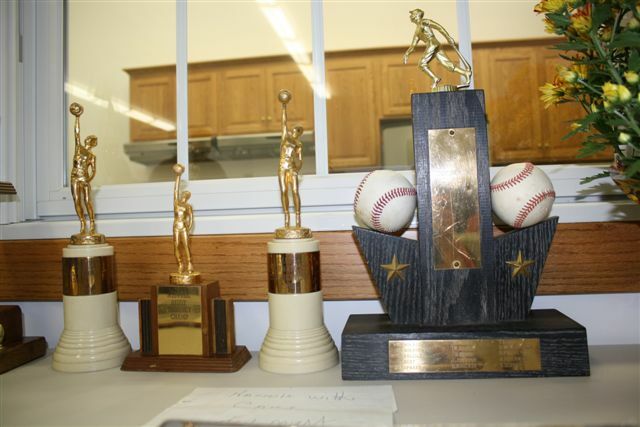 The last baseball trophy which is the tallest says: Tuscarawas County Little League Champs 1960 Goshen, Ohio. 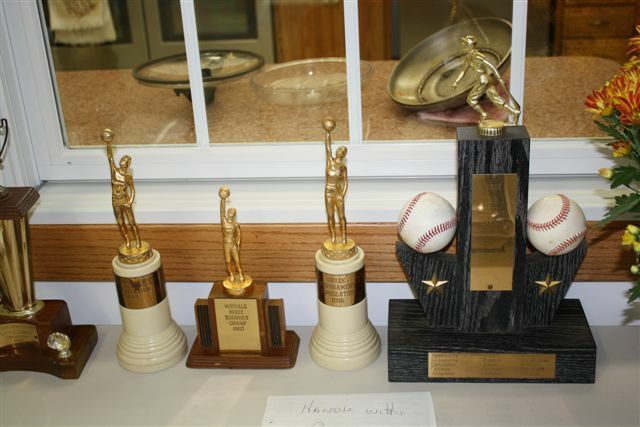 Basketball trophies: Wooden basketball trophy in the middle- 1960 Midvale Tournament Champs. All of the trophies were given to Doug Krocker by Ellen Wilson. 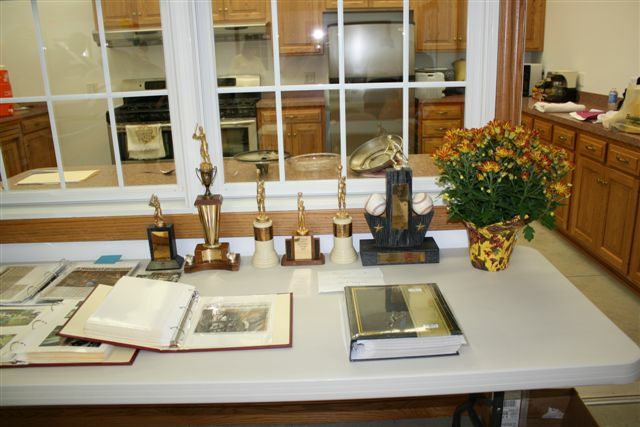 Ellen’s husband John “Huck” Wilson sponsored the baseball tournaments and was given the basketball trophies following the closing of the Goshen School in 1963. All of the trophies were displayed in a case at Wilson’s Service Station that Huck and Ellen ran up until Ellen decided to sell the property in 1976. Huck had passed away in 1972. Ellen is also now deceased.